Home » General » When can my Wages be Garnished? In today’s economy, many Americans are struggling to pay all of their bills with their monthly income. However, if a person fails to pay some obligations, a court or government agency may issue an order for your employer to withhold a certain amount from your paycheck in order to pay your creditors. This order is called a wage garnishment, and can put a giant strain on your financial situation. Fortunately, if you are facing a wage garnishment, there are possible solutions to help stop or limit the garnishment and allow you to handle your debts on your own terms. Who can issue a garnishment? Many creditors require a court order to attach a garnishment to your wages. For example, if you owe on credit cards, medical bills, or other private debts, the creditor must file a lawsuit against you. If the creditor then obtains a judgment against you, the court can issue an order allowing the creditor to garnish your wages. Luckily, prior to a court order being issued, you as a defendant will have the opportunity to appear in court and negotiate with the creditor. An experienced debt relief attorney at the Law Offices of Kenneth P. Carp can help defend your case to keep a wage garnishment from ever happening. Because these government agencies do not first have to file suit, you may suddenly be facing a wage garnishment without warning or the opportunity to defend yourself in court. There are limits on wage garnishments, however, set by federal and state laws. 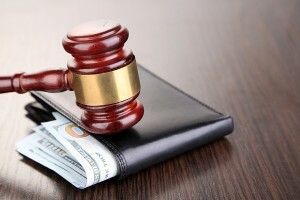 If any type of creditor issues a garnishment that is unlawfully high, our garnishment attorneys can help you fight it. Furthermore, we can assist in negotiating with creditors to lower the amount of the wage garnishment or make other payment arrangements. Finally, if bankruptcy is an option for you, we can help you file and halt the garnishment immediately. In short, there are many options for you if you are facing a wage garnishment, and our attorneys will help find the option that is right for your particular situation. Call the Law Offices of Kenneth P. Carp today at 636-947-3600 for assistance. Who can Garnish my Wages in Missouri?